Formed in 2008 in Geneva, Switzerland, from three of Australia’s leading young musicians, the Streeton Trio is the only Australian ensemble ever to be selected for the prestigious European Chamber Music Academy, where it has been ensemble-in-residence since 2010. Currently based in Berlin, this exciting young trio has studied intensively with some of the world’s leading chamber musicians and is in demand, engaged to perform extensively across Europe, the UK, Scandinavia, Asia, New Zealand and Australia. 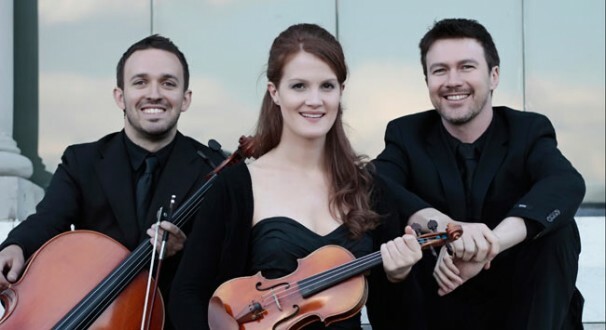 Named after the Australian Impressionist painter, Sir Arthur Streeton, the trio has received great acclaim for its performances in important venues around the world, including Wigmore Hall (London), Het Loo Royal Palace (Holland) and the Melbourne Recital Centre. The Castlemaine State Festival is privileged to have secured this extraordinary international classical trio and invite you to join us in welcoming them to Castlemaine.